IPad, smart phones, GPS, Internet, modern materials or futuristic design as well as almost fairy tales structures and buildings, modern aviation, space exploration, research of the quantum world, social interactions and evolutionary processes, computer games, Facebook and much more have all the same root: mathematics. Without mathematics and its applications, none of these things would exist. People think of math as just a lot of calculations. But this is not completely true. Mathematics is a very complex art of understanding how our world works. It is the queen of all sciences based on pure thinking and logic. It is also the oldest of all sciences. Mathematics has its incredible beauty, its power and harmony and can be found in many beautiful paintings as well as in structures that surround us, in their proportion of figures, in perspective, and even in colors and shades perception. Mathematics is also a game, and it generates pleasure through its execution and contemplation. Our starting point is that all children and young people should be trained in mathematics. The form it takes varies from one country to another, but basic operations on numbers are always taught, together with fundamental principles of geometry. We will cover the basics of mathematics through a number of topics. Each of these will include interactive quizzes and games for secondary school students and teachers with visualizations, and they will be able to use it in class or for homework. Our examples-demonstrations will not only be dry math: we will link it to its use in every day life and talk you through important historical happenings made in and with mathematics. For example: do you know what the world chaos means, and how it influences the weather or other apparently different systems like stock exchange? 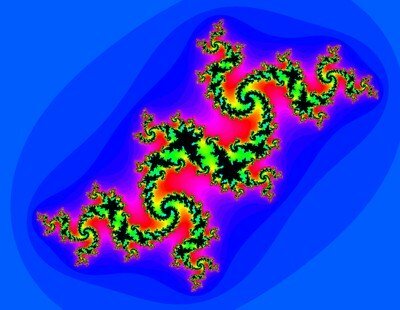 Did you know that human body dimensions and economic systems can also be calculated with fractal dimensions? Do you want to learn those special mathematics skills that allow you to use and analyze Big Data? Are you into cyber security and computer technologies? Join our course and learn about inventions link Alan Turing’s machine to decrypt messages in the Nazi regime which lead to cyber security and many more. Want to discover more about this? Download our teaching materials! Click below to download the teaching materials for mathematics. Contents are available in English and Czech.